A few clouds from time to time. Gusty winds diminishing in the afternoon. High near 60F. Winds NW at 20 to 30 mph. Higher wind gusts possible..
Read through the obituaries published today on globegazette.com. LAKE MILLS - James LeRoy Tweeten age 93 died on Thursday, January 10, 2019 at the Lake Mills Care Center. Funeral services will be held at 10:30 AM on Monday, January 14, 2019 at Salem Lutheran Church, 401 S. Lake St. in Lake Mills with Pastor Joel Guttormson officiating. Interment will be in Beaver Creek Lutheran Cemetery, rural Joice, Iowa, with military honors will be conducted by the Lake Mills Otto Chose Post #235. 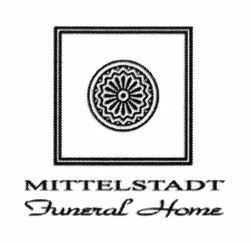 A visitation will be from 5:00 to 7:00 PM on Sunday, January 13, 2019 at Mittelstadt Funeral Home, 902 East Main St., Lake Mills, Iowa 50450. In lieu of flowers, memorials may be directed to the Beaver Creek Lutheran Cemetery, 3770 Bluebill Ave., Joice, IA 50446. CLARION, IOWA - Anna ‘Shi' Reiland, 100, of Clarion passed away Wednesday, January 9, 2019 at the Clarion Wellness and Rehabilitation Center. A Mass of Christian Burial for Shi Reiland will be held at 11:00 AM on Saturday, January 12, 2019 at St. John's Catholic Church, 608 2nd Avenue Northeast in Clarion, with Father Jerry Blake officiating. Burial will be held at St. John's Catholic Cemetery in Clarion. BRITT, IOWA - Ramona M. (Wright) Kabrick, 66, of Britt passed away Thursday, January 10, 2019 at the Hancock County Memorial Hospital in Britt. Interment at Evergreen Cemetery in Britt will be held at a later date. Ramona Marie Wright was born on March 8, 1952 to Leslie and Marie (Christensen) Wright. She was grew up in Britt and graduated from Britt High School. On September 15, 1979 she married David Kabrick. The two made Britt their home. They raised four children. Ramona is survived by her husband David; children Shelly (Mike) Olear, Phil (Penny) Kabrick, Amy Kabrick, and Christopher Kabrick; and her grandchildren. Ramona is preceded in death by her parents Leslie and Marie; brother Carl Christensen; and nephews Tony and Casey Wright. Memorials, per Ramona's wish, may be directed to the West Hancock Ambulance Service in Britt. FOREST CITY – Mildred “Millie” Esther Pals, 99, went home to be with her Lord and Savior on January 9, 2019. She died six days before her 100th birthday. Formerly of Manly and Forest City, she had been a resident of the IOOF Home in Mason City following a fall and broken hip. Millie was born on January 15, 1919, at Sheffield, IA, one of four children to Gustave and Anna (JaegerHuber) Vonder Linde. She graduated from Sheffield High School in 1937. She was married to Clarence Pals and they began their married life farming near Manly. They were parents of one daughter, Judy. Millie was a busy farm wife, helping with field work, cattle chores and the many tasks involved in operating a dairy farm. She was an active member of the Manly Music Mothers, a 4-H assistant, and a participant in Farm Bureau Women's organizations. After a move to Forest City in 1959, Millie worked at Mercy Hospital in Mason City and later at the Forester factory in Forest City. Millie was an excellent cook and could provide a full meal for unexpected guests at any time. She enjoyed baking treats for her neighbors. She enjoyed sewing, other handcrafts, traveling and reading. Millie was a serious competitor with anyone who wanted to race on horseback or snowmobile. Her friends at the Clark Street Apartments and at Forest Plaza Assisted Living were very special to her. Millie's faith was very important to her, and she was always active in her churches. In earlier years she served as a Sunday school teacher, AWANA leader, and officer in her church's women's groups. Daily Bible reading, and prayer were a significant part of her life. Millie is survived by her daughter and son-in-law, Judy and Charles Madson of Ventura, IA. She was preceded in death by her parents, her husband, Clarence, her siblings, and special cousins, Lucille Ragan and Ruth Bailey. Millie has requested no formal services. Anyone wishing to leave a memorial may direct a gift to Calvary Baptist Church, 636 N. Best St., Forest City, IA 50436. Ward-Van Slyke Colonial Chapel, 101 N. 4th St., Clear Lake. 641-357-2193. ColonialChapels.com. MASON CITY, IA - Jolene 'Joni' Renae Eekhoff TerHark, has gone to be with her Lord and savior on January 9, 2019 after her five-year long battle with metastatic breast cancer. Joni was a faithful follower of Jesus, wife to an amazing husband, Barry, and mom to two incredible children, Ethan and Erin. She was 43. Visitation will be from 4:00-7:00 p.m. on Friday, January 11, 2019, at Grace Church, 440 N. Illinois Ave. in Mason City, guests are invited to arrive via Door E. Funeral services will be at 10:30 a.m. Saturday, January 12, 2019 also at Grace Church. Full obituary and online condolences can be found at ColonialChapels.com. Hogan Bremer Moore Colonial Chapel, 126 3rd St NE Mason City.